It seems it is inevitable . . . show ‘n tell and star students are two questions I can count on at Back to School Night. 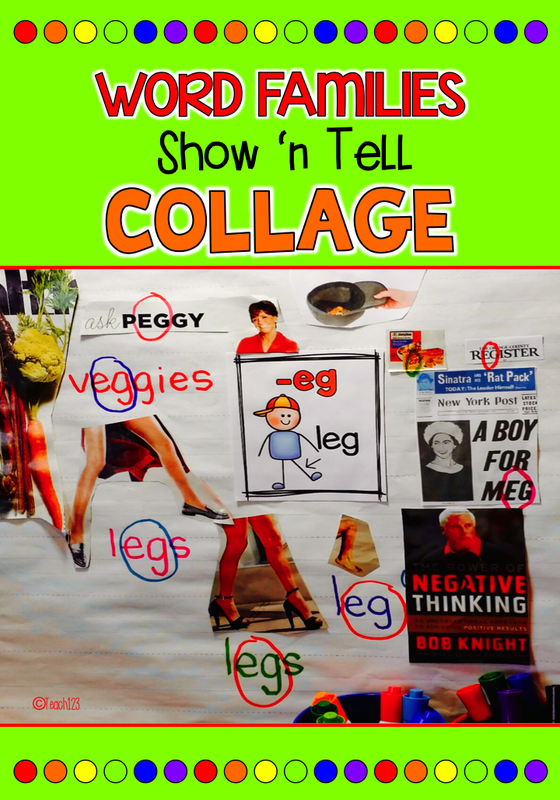 One of the ways, I have made show ‘n tell manageable for me, is to have a weekly theme. The picture above is an example of a show ‘n tell assignment. I send home the note below with my newsletter telling parents the theme and date. Students bring a picture to share and add to our class collage. I hang the pictures below in the middle of each collage. Students see these same word family pictures in other assignments so it is familiar. I hang the charts up around the room so students have them as another resource. 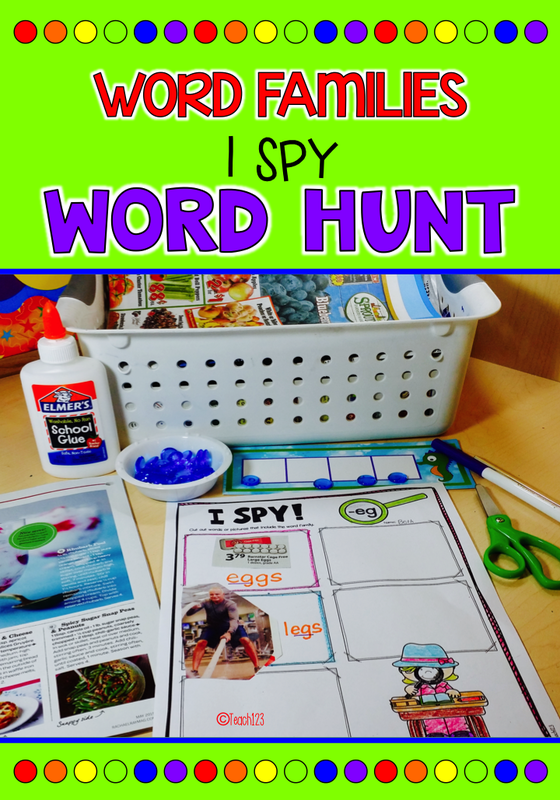 Word sorts encourage young readers to focus on the patterns in words. 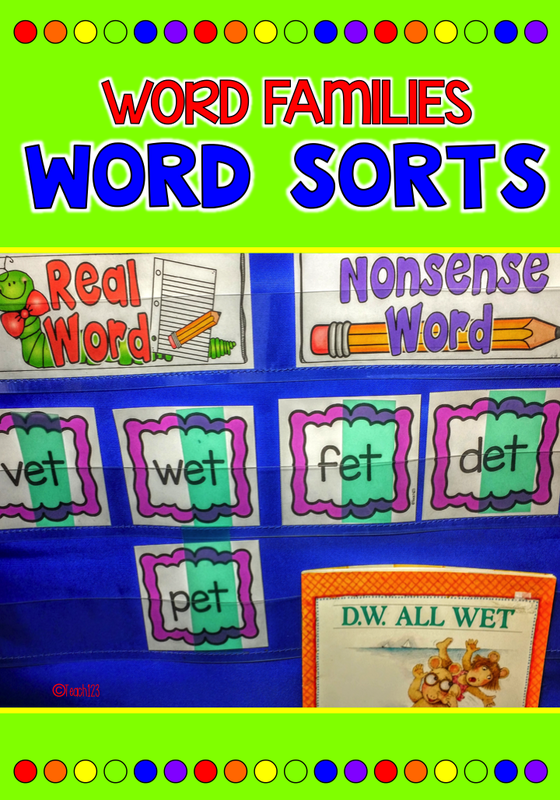 Introduce word sorts in your whole group lessons using these signs and colorful word cards. They fit easily in a standard word pocket chart. Students read words from the word family of the week: -et. Then decide whether the word is a real word or nonsense word. Put the word in the correct category. To further emphasize the word family, I have my students highlight the word family with colorful plastic rectangles. I cut up folders to make these. You will see your students begin to pay more attention to the words they see after doing activities like the one above. 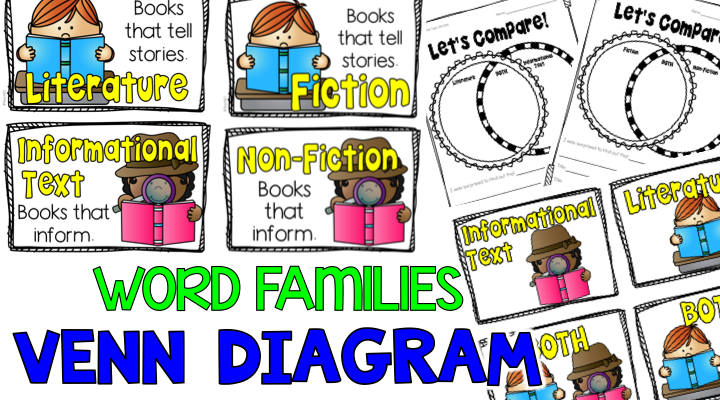 There are book lists with some suggested stories you can read during your whole group or circle time lesson that include topics with the word families. 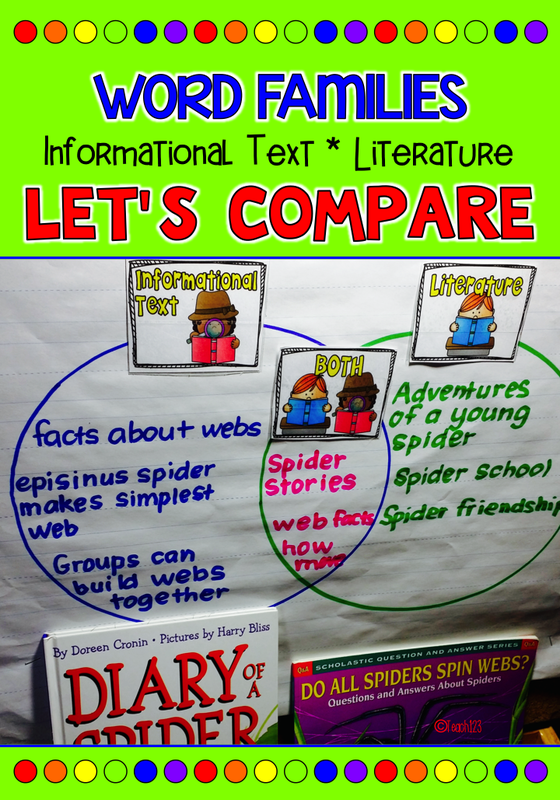 Compare stories using a Venn diagram. You can make a class Venn diagram with the signs included plus there are individual ones, too. The Venn diagram signs can also be used as book tubs signs. 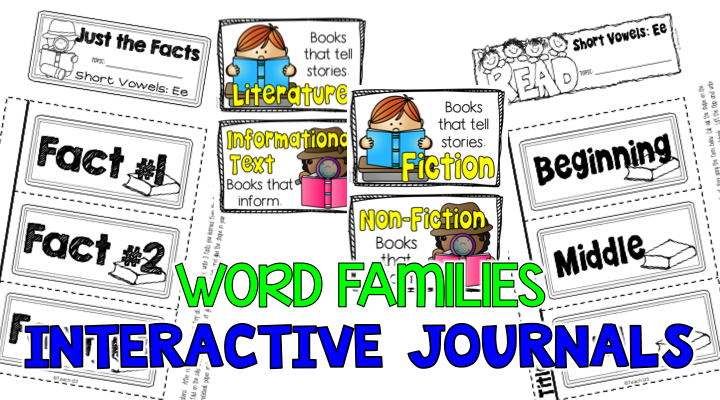 There are interactive journal printables that can assign after reading stories to your class. Just the Facts: assign after reading an informational text book. 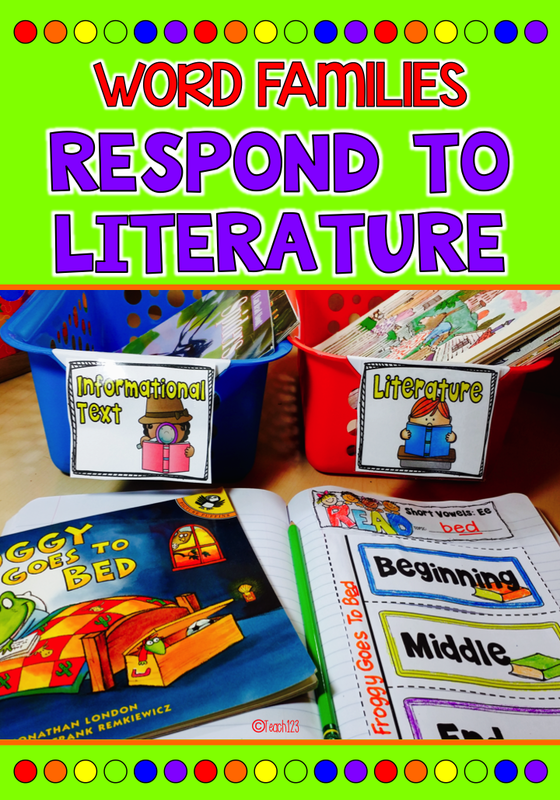 Beginning, middle, and end: assign after reading a literature book. Option #1: Show your students one of the word cards (see examples below). Students will copy the word on their white board. Option #2: Show your students one of the picture cards. Students will spell the word on their white board. 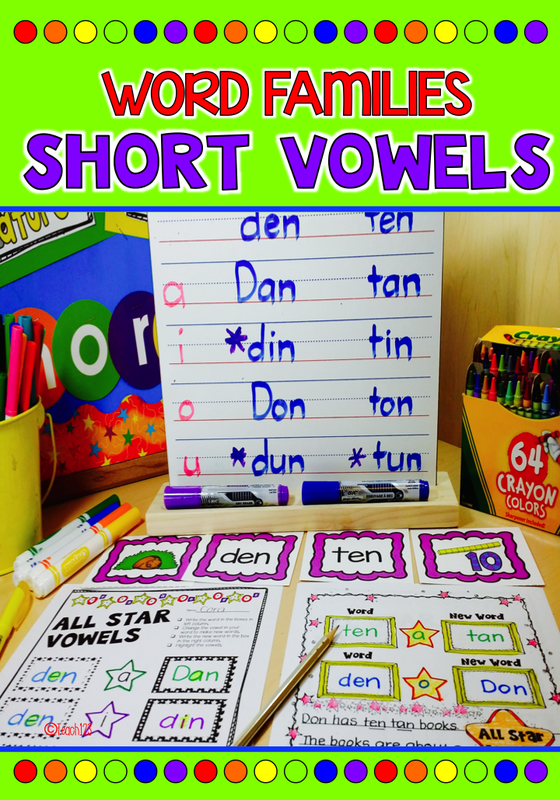 After writing the word, tell your students to write the vowels on the each line below the word. 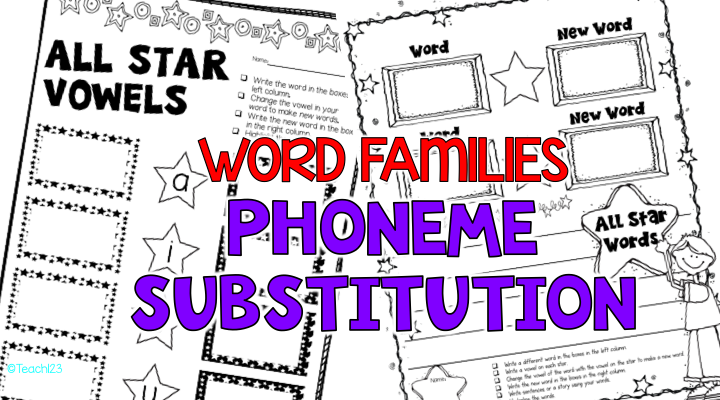 Make new words by substituting the vowel in the word for the vowel on the line. Draw a star or circle the words that are nonsense words. Use one of these two different assignments for additional practice to extend your lesson. Sound out words using sound boxes. 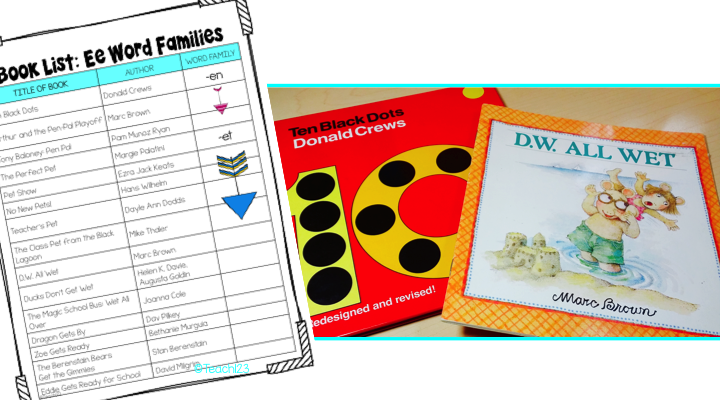 The ocean themed ones are a perfect addition if you read the book, D.W. All Wet during the -et word family week. Best of all, the sound boxes are FREE. Have you seen the plastic ice cubes (in the picture above) at Dollar Tree, Target, or Bed, Bath, & Beyond? The ice cubes are fun to use and color, too! 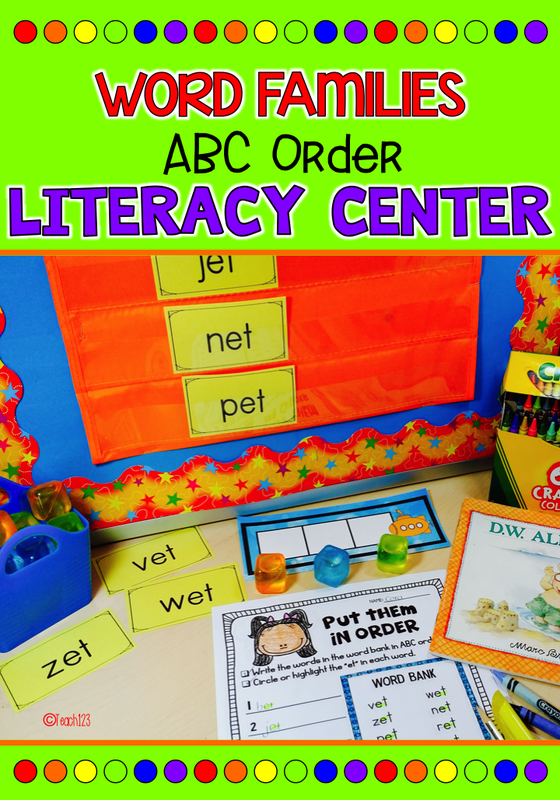 Arrange the words in ABC order before completing the assignment. Do you have early finishers? 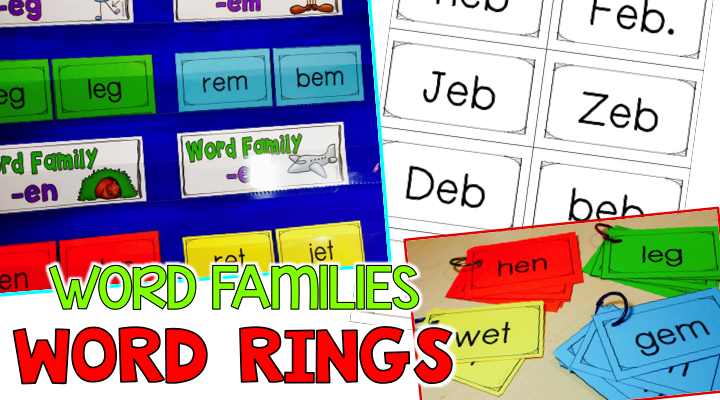 Make extra sets of word cards from the ABC center and put them on rings. These word cards are black and white which is ink friendly plus the cards are small (8 per page). For organizational purposes, copy different lists on different colors. Give students an egg timer and challenge them to read as many words or words rings as they can before the time runs out. Great prep for Dibels! 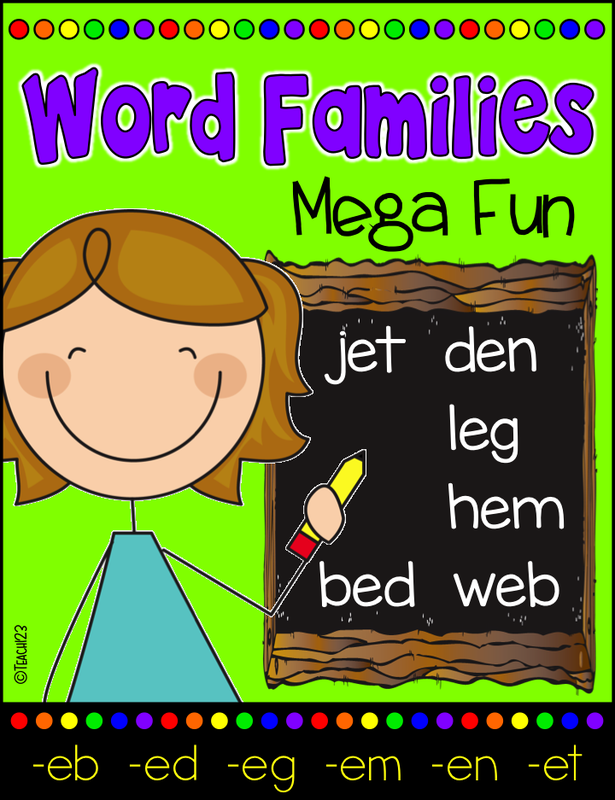 Find words or pictures that include the word family. 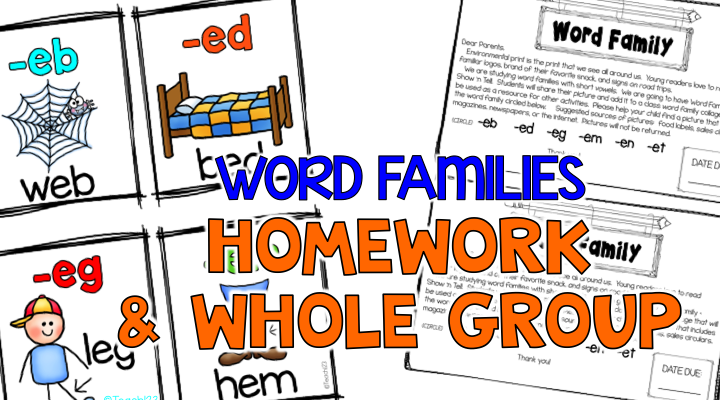 There is one assignment that includes all of the word families. 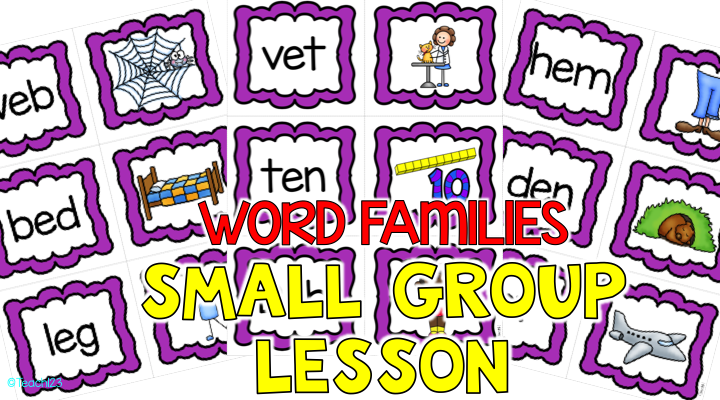 Use this as an assessment – students can either find pictures or draw pictures, or send it home for homework the last week that you students study short Ee vowel – word families. 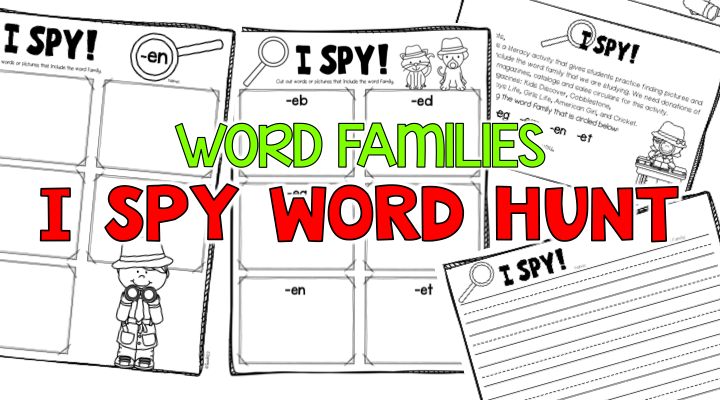 For your early finishers, there is writing page so students can write sentences or a story using the words or pictures that they found in their word hunt. Time to get creative! There are word banks included that you can use for a writing center. 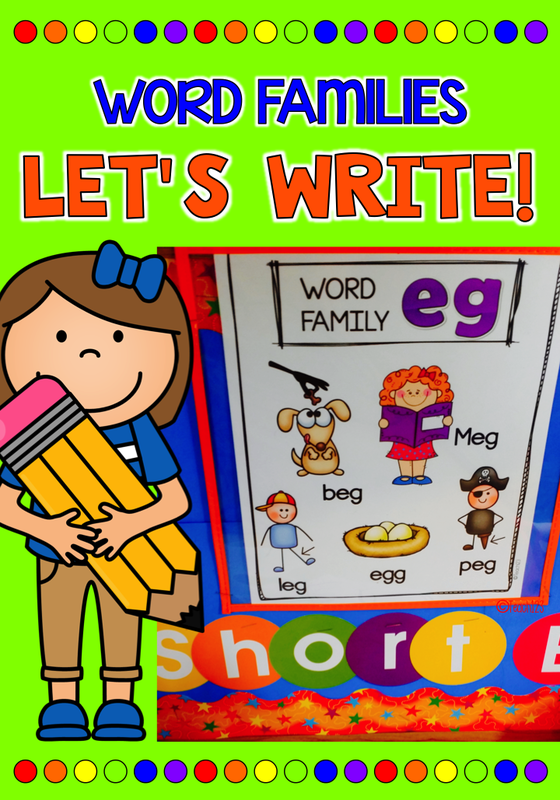 Challenge your students to write a story including as many of the words as possible. Want to add a tech component? 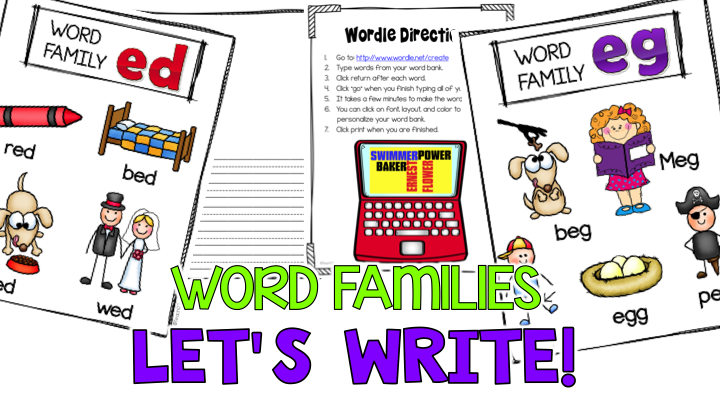 Make a word bank using Wordle. 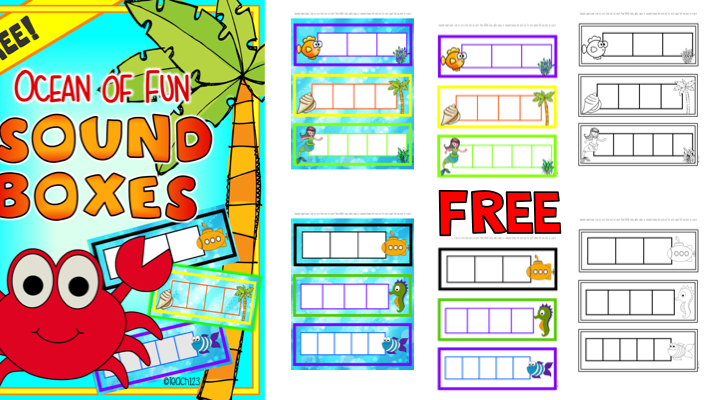 Students can make their own word bank or use the one that is included. 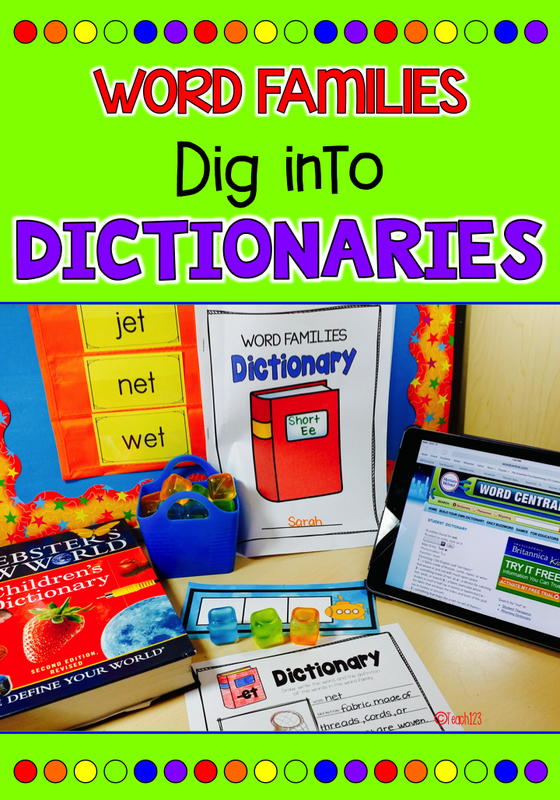 Dig into Dictionaries can be completed with the good old fashioned dictionaries or the tech type. Have you checked out Word Central yet? 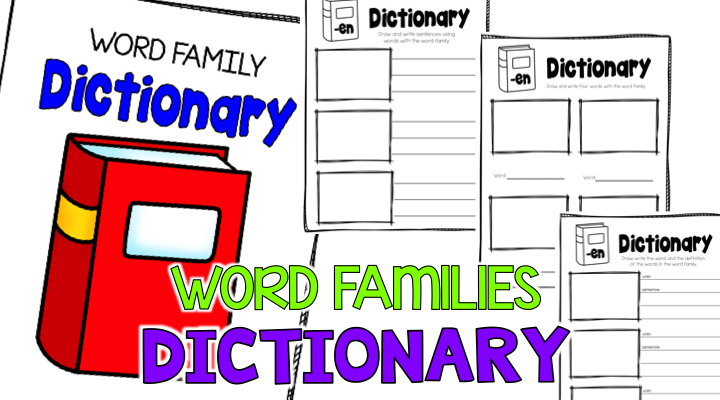 It is a fun site that students can look up words’ definitions plus has other helpful information like rhyming words, thesaurus, and more. There are 3 different assignments so you can find the assignment that fits your students’ needs. Option #1: Draw and illustrate the word. Option #2: Draw, illustrate, and use the word in a sentence. Option #3: Draw, illustrate, and write the definition. Are you ready to have some mega fun? Check out my preview file for more details. Looking for more ideas? I have Pinterest boards with videos, games, and other fun stuff.